I was surprised a few years back to discover that Brian Postman was originally tapped to draw issue #2 of the mini-series, The Falcon. The first issue of the four issue mini-series was penciled by Paul Smith, at the time becoming white hot with one of the finest runs on the X-Men. Despite being inked by Vinnie Colletta, Smith's fine line shone through and there was a lot of expectation for the series. However Smith only ever penciled issued #1 and the covers for the first two issues, being replaced by Mark Bright on pencils, Colletta was replaced by Mike Gustovich, and the art team remained stable for the next three issues. 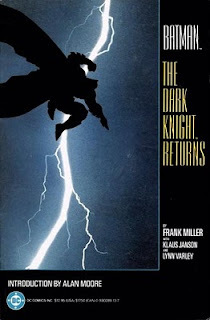 You may remember a while back I received an email from The Former DC Staffer who discussed the falling out between Frank Miller and Klaus Janson over The Dark Knight Returns. 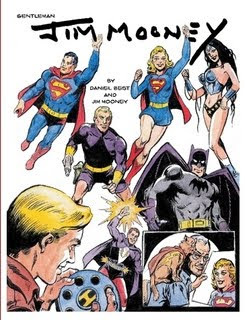 Here's how the FDCS remembered it, "Klaus Janson was working Dark Knight and used Greg Brooks as a background inker. Well Frank Miller gets wind of this and has a fit, something about the integrity of the project and letting an amateur put his hands on it. The end result was art for Dark Knight #1 and #4 went to Frank Miller and art for Dark Knight #2 and #3 went to Klaus Janson. Now here's an interesting bit, the original art never once came into the production department. It was sent to a printer for black and blue line copies on strathmore paper. Corrections were made by Bob (little fingers of lead) Rozakis on the printed blackplate; hence the famous Lois Lane flub in Dark Knight #1. As a production man Bob was a great accountant!" I posted a vintage Atlas story by Gene Colan yesterday, so I thought I'd follow it up with yet another, in original art form. 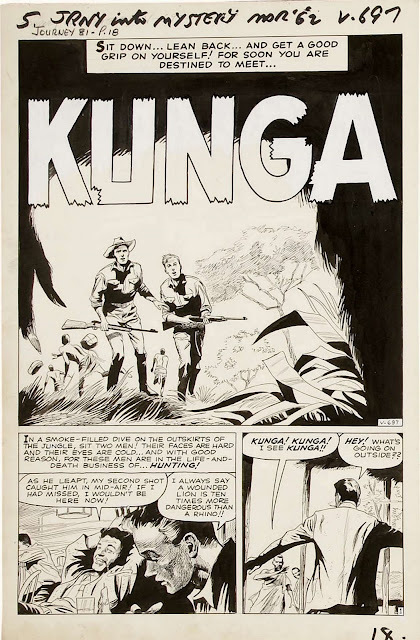 This story, titled 'Kunga', was published in Journey Into Mystery #81 and dates from 1962. My word it's been a while, so in order to ease myself back into things I'd like to share a couple of great Gene Colan vintage stories, in their purest form, that being original art, just to remind everyone of what a major talent he was, and indeed still is. 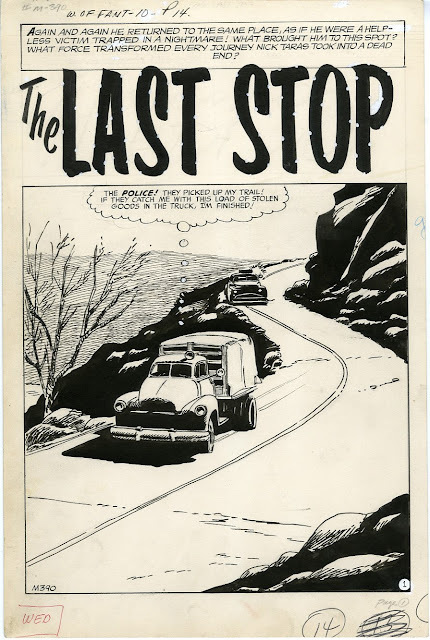 This first story is titled 'The Last Stop', and comes from World of Fantasy #10, as published by Atlas (Marvel) Comics in 1957. 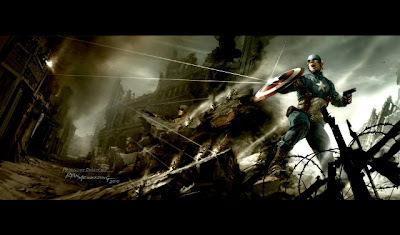 "When I first started with Timely," said Gene, "it was called Timely Comics, now it’s Marvel. We were working in the Empire State Building and that’s where I really got the experience that I needed. I was hired to do the work and I was paid for it and I didn’t know a heck of a lot about anything.